It’s a ancient Shiva temple on a barren hill, which attracts hundreds of devotees from Ranchi and nearby areas. 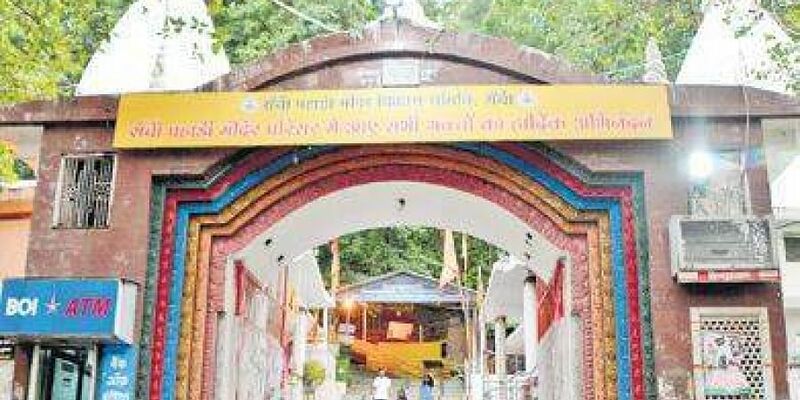 RANCHI: It’s an ancient Shiva temple on a barren hill, which attracts hundreds of devotees from Ranchi and nearby areas. But this ‘Pahari Mandir’ has another claim to fame: it’s perhaps the only religious place in the country where the national flag has been hoisted every Independence and Republic Day since 1947. During the British rule, colonial authorities used to hang freedom fighters on this hill, and it became known as ‘Fansi Tongri’, or hangman’s hill. To keep their memory alive, the temple has been unfurling the Tricolour every year since Indian became Independent. A plaque on the temple wall says the Tricolor was first hoisted here on the midnight of August 14, 1947, by freedom fighter Krishna Chandra Das to honour his martyred friends. “Traditionally we have been celebrating national festivals by hoisting the national flag to honour those who laid their lives for the country,” said Prem Shankar Chaudhary, member of Pahari Mandir Vikash Samiti. The flag is hoisted amid drumbeats of mandar and kurhi, he added.“The British used to hang freedom fighters on the two banyan and neem trees at the top of the hill. When India got Independence, people decided to start a tradition of flag hoisting in the name of martyrs,” said Chaudhary. The Tricolour, at that time, was made of handmade khadi fabric, dyed in natural colors, he added. “When India got Independence, my father Shayam Kishore Sahu and other freedom fighters in Ranchi were so excited that they decided to unfurl The tricolor on top of the Pahari Mandir on the midnight of August 14,” said Pratap Sahu. An iron pole brought from a nearby market was installed outside the temple and the flag was hoisted on it, he added. “My father used to say hundreds of people participated in a torch-light procession from Chutia to Pahari Mandir, shouting slogans of freedom and dancing to the beats of mandar, kurhi and nagara,” said Sahu. “In the UPSC civil services exam of 2003, there was a question asking to name the only temple in India where Tricolour is hoisted. It was also covered in a TV show named ‘Surabhi’ many years ago,” said Daya Shankar of Pahari Vikas Samiti.